ANC dominance of South Africa looks set to begin to end on the 3rd of August. And that will be a good thing. Not just because of the ridiculous antics of President Jacob Zuma or the endemic corruption that riddles the party from the bottom to its very pinnacle of power. No, it is because the time has come. 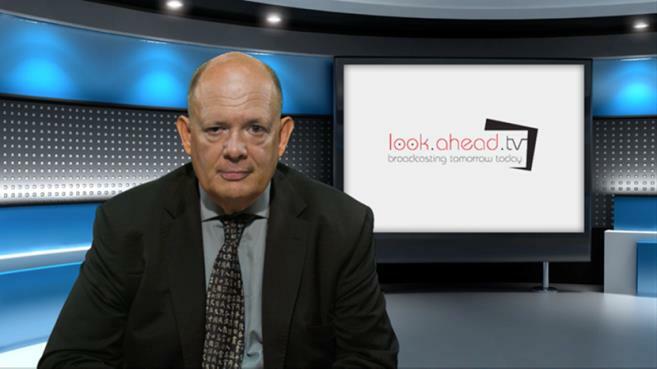 Independence movements need a focal point. They need a charismatic figure around whom to rally. In South Africa that figure was clearly Nelson Mandela. He in turn needed an organisation to unite dozens of feuding tribes and ethnic groups behind the goal of freedom. Once that goal was achieved the ANC faced the same problem of any single issue party: It no longer had a purpose. 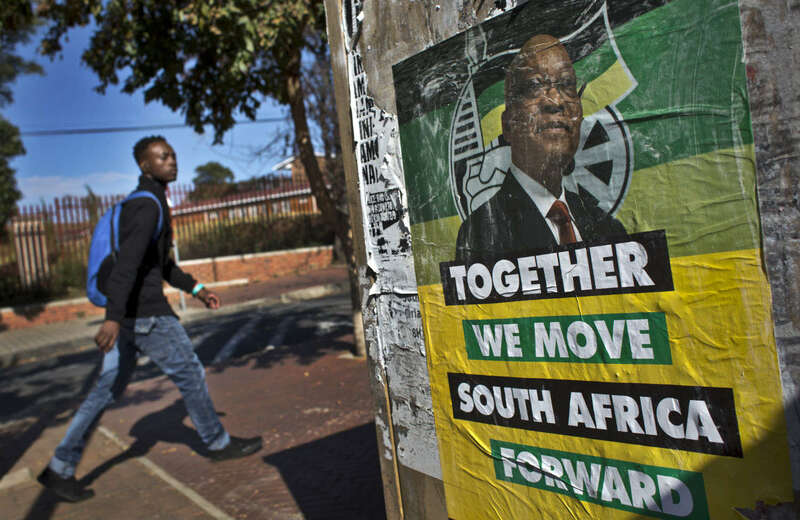 It has ridden for 16 years on the coattails of Mandela and past glory, but the political tools needed to run a country are different from those employed to win a nation. Without a goal the party has drifted rudderless into mismanagement and corruption. The electorate is starting to realise it. The ANC is about to discover just that in nationwide local elections. For the first time in 22 years, the party of Mandela is preparing to take a major beating at the polls, especially in the vital urban areas. 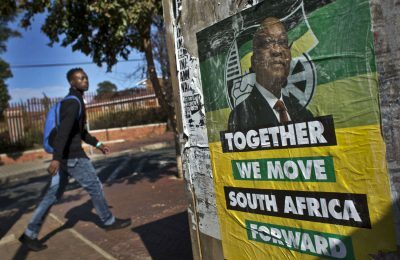 The ANC’s support looks set to slip to 31 percent in Johannesburg from 59 percent in the 2011 local elections. 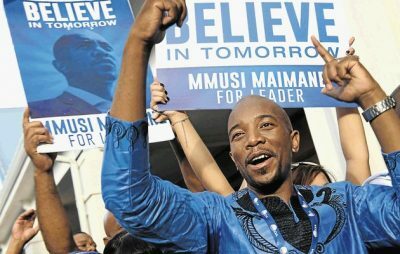 In Tshwane municipality, which includes the capital Pretoria, polls indicate a fall to 23 percent from 55 percent. In Nelson Mandela Bay, support is reported to be just 28 percent, down from 52 percent in the last local elections. 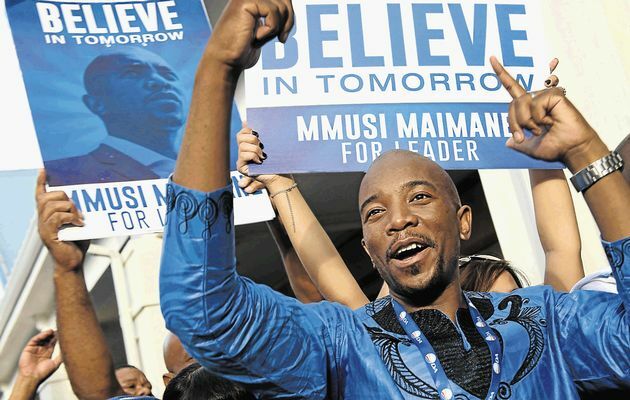 The beneficiary of the ANC’s expected losses is the Democratic Alliance led by Mmusi Maimane. There is no doubt that President Zuma has become a liability to the ANC. In April, he survived an impeachment vote but still faces corruption charges dating back to the 1990s. In December he was castigated for changing his finance minister twice in a week. The move sent the Rand plummeting and triggered opposition calls for his resignation. Zuma is the focal point of public approbation, but not the voters’ only cause for disapproval. An opinion poll of 2,400 people in June revealed that 60 percent of the electorate thought that the ANC-controlled councils were doing a bad job. In Johannesburg, Mayor Parks Tau, has been criticised by the Auditor General for unauthorised spending of $3 billion. You know corruption has reached unacceptable levels when society invents new words for new forms of dishonesty. In South Africa they have coined the word “tenderpreneurism”. A tenderpreneur is a person who enriches themselves by corruptly awarding government contracts. They usually throw in shoddy workmanship as well. Then there is Black Economic Empowerment – acronym BEE. This can only be described as positive discrimination gone mad. Corruption of course undermines both the political and economic structures of a country. South Africa is a rich country. It is an advanced Western economy with massive deposits of gold and diamonds as well as valuable agricultural land. It also has a well established infrastructure. It is political malfeasance that has pushed South Africa to the brink of recession. Since its founding in 1912 until now, the ANC has been the primary vehicle for South African Black political power. In its long struggle for freedom it learned how to fight. In power it has learned arrogance and corruption. Hopefully, on the 3rd of August, it will start to learn humility.